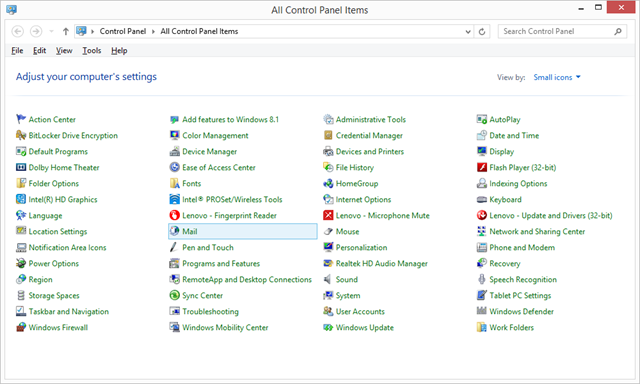 Open the Start Menu and click “Control Panel”. 7. 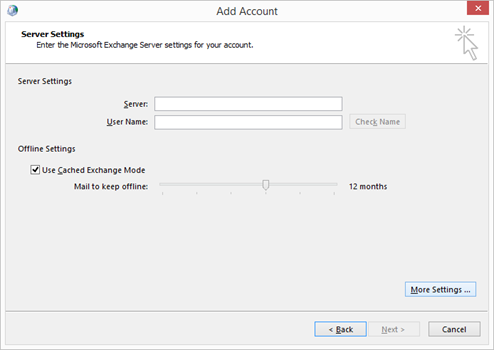 Click “Microsoft Exchange Server or Compatible Service” and click “Next”. 8. 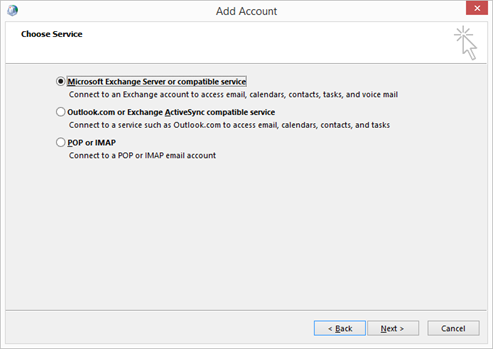 In the “Server” box, type “outlook.office365.com”. 9. 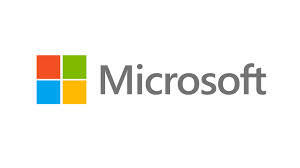 Enter the email address in the field “User Name”. 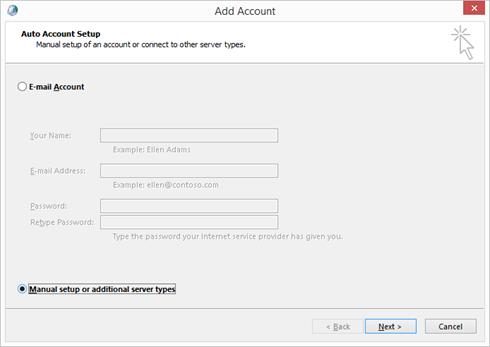 If prompted with an error that the action cannot be completed, click OK.
13. Click on the “Connection” tab. 14. 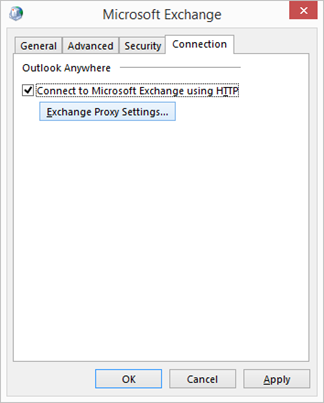 Select “Connect to Microsoft Exchange using HTTP”. 16. 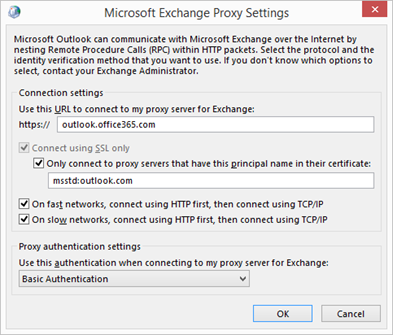 Enter the proxy URL: outlook.office365.com. 18. 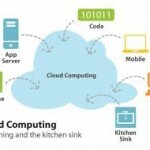 Click to select the on fast networks, connect using HTTP first, then connect using TCP/IP check box, and select the on slow networks, connect using HTTP first, then connect using TCP/IPcheck box. 19. 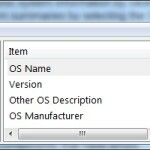 In the “Proxy authentication settings”, click “Basic Authentication”. 21. Click “Check Names”. 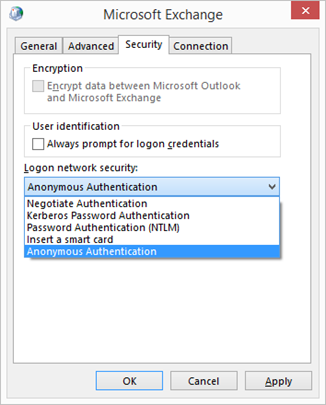 Provide the office 365 credentials and click save. 22. 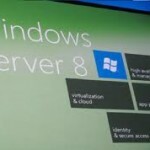 After the server name and user name are displayed with an underline, click “Next”. 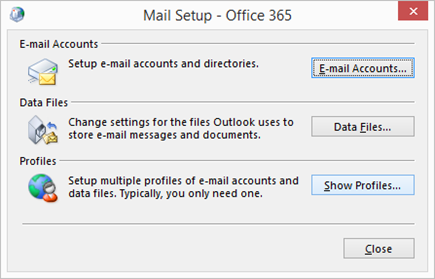 Finally, restart Outlook to begin sending and receiving email from Office 365.